Through Harper and Associates, I have consulted, trained and facilitated with organizations since 1991. I frequently collaborate and work with a variety of associates depending on the scope of a project and the needs of the client. Each associate specializes in an aspect of communication - as personal coaches, change managers, mediation, harassment and diversity. Gary Harper is the principal of Harper and Associates. 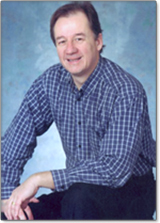 He is a trainer, writer and facilitator who specializes in conflict resolution. Through his unique blend of experience as a personal injury lawyer, general manager, insurance regulator and retail store owner, he learned the value of clear communication and conflict resolution skills. Since 1991 he has trained and mediated in a wide variety of organizations - from health care to the film industry to many levels of government. He is a member of the instructional team of the Centre for Conflict Resolution at the Justice Institute of B. C. and authored The Joy of Conflict Resolution: Transforming Victims, Villains and Heroes in the Workplace and at Home.